Focus and open the doors of success for yourself ! 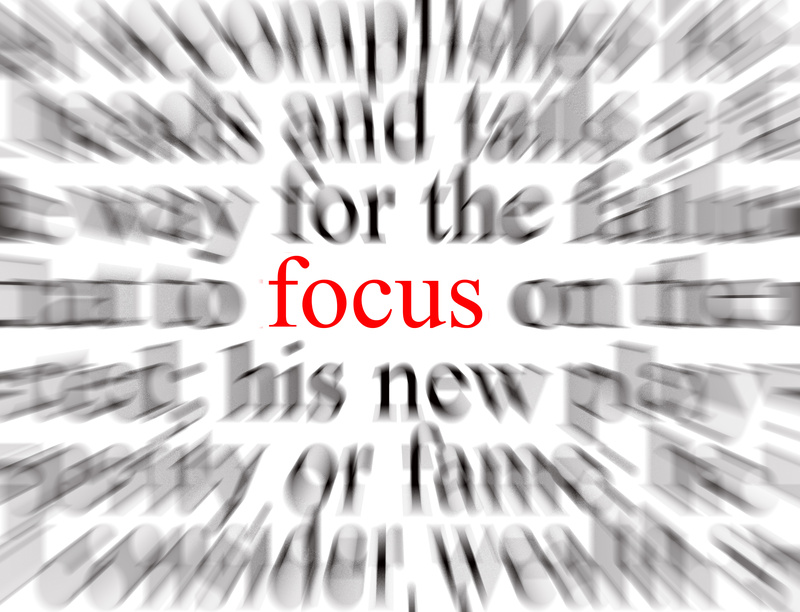 For me focus is one of the most important aspects of success. All successful people are very focused be it, their success, finances, business, family. What you focus on expands! It is a laser like focus that you need to develop for anything you want to achieve in life. So if you are thinking of and focusing on “why bad things happen to me”, you will not only expand it but you will start attracting those things in life. Instead if you focus on good things in life, your mind expands towards that and you start attracting good and great things. It is better to think on one thing, instead of thinking on various things. One thing focused on becomes a big thing, many things focused on become fragmented small things. Focus makes a good thought great, it expands the idea. Do not dwell on what went wrong, learn from it and focus on what to do next. If you expend your energies on next step forward you will succeed. One example of focus that comes to mind is the power of sun’s rays, once they are focused through a lens they can burn anything. The 80-20 Rule also known as Pareto’s principle states that 20% of your efforts yield 80% of the results. The key here is to focus your energies on what you are best at. If you focus your energies and time on that then your results will be multiplied. The productivity also increases when you focus on things you are good at and passionate about. It is said that an average person watches around six hours of television every day. Now instead of this if you were to take out only one and a half hour and spend that focused time for your personal growth, you will have 547 extra hours in a year, i.e. almost 45 hours per month, more than a full week every month. If you focus on News and all the negatives happening in the world, that is what you are going to attract more of. Instead if you focus on serene, peaceful things, your hobbies, passions then that is what you are going to attract. Focus is everything. Your job, your business, your family, your personal life all require you to focus on a few things and be good at it. Many places I have read, work on your weaknesses and try to improve those. The problem is if on a scale of one to ten, you work very hard and improve your weakness and go from a 3 to 5, you are still average. Now take something you are really good at, maybe a 7 or 8. If you focus on your strength and make it 9 or 10 you now are a master at that thing, an expert. So you see how focusing on a few things can literally change your life. Steve Jobs is a great example of Focus. Instead of Apple making hundreds of products he started to focus on a few and made them the best. That is why you have the ipod, iphone which revolutionized the world. So focus on a few things and say no to most others. Invest in yourself and grow beyond the limits you think you have. This can only be done by focused work and effort.